We understand your time is valuable and as truckers you need to be able to get on the road at a moment’s notice. Retrieving certificates online is easy and convenient. Have your login information ready. Use our simple change request form to add or remove vehicles and/or drivers. Return the completed form via email or fax at 580.233.4847. Dill Brothers would love to hear your feedback or answer any questions you might have. Call us at 800.737.3037 or email us at info@dillbrothers.com. We look forward to hearing from you. Dill Brothers Insurance is among the elite in protecting the transportation industry. 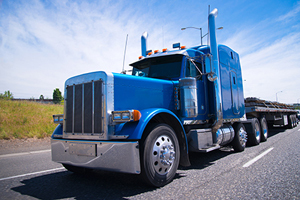 Since 1982 we have operated solely in the niche of insuring truckers and trucking companies. 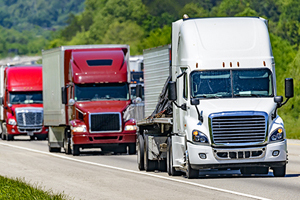 This sets us apart from most insurance agencies -- through our longevity, we have acquired a comprehensive understanding of the needs and requirements of trucking insurance. Our staff has over a hundred years of combined experience. Knowledge and experience of the industry itself is undeniably our biggest asset. At Dill Brothers Insurance we protect you and your business by offering professional advice with outstanding service at a competitive price. Dill Brothers Insurance will remain dedicated and focused on insuring the transportation industry with the highest standard of professionalism and honesty. To excel in this commitment we shall maintain our superiority in experience, knowledge and service over our competition. It is imperative we listen to our customers' needs and stay aware of any and all changes within our niche. We know the trucking business as well as the insurance business. We shall continue our history and reputation as one of the elite trucking insurance agencies. We are committed to responding to your needs. Whether issuing certificates, obtaining filings or completing policy changes, we make it simple for you. Premium financing and payment plans tailored to your business are available. Insurance regulations and laws can be confusing, we can help answer your questions or guide you to the right resource. In addition, we work with your insurance carrier to get your claim settled quickly and efficiently. Transportation coverage is our only focus. Other agencies offer products for multiple types of clients, never becoming experts in any one field. 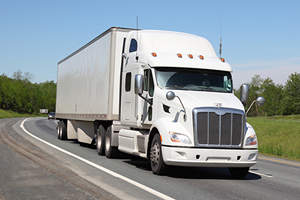 Our staff understands trucking operations and its industry specific insurance needs. Let us put our knowledge and experience to work for you. We have access to certified safety directors for loss control, DOT compliance, driver safety seminars and accident kits. These services can help you reduce claims, ultimately keeping your insurance costs to a minimum. We begin by reviewing your operation and exposures, including contractual agreements. Our staff tailors a proposal, which provides the best coverage for your specific operation and meets all federal and state requirements. 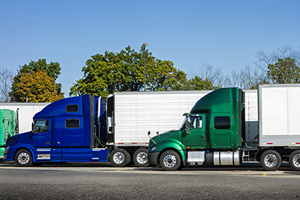 Our agency contracts are with specialty insurance companies whose policies are written with the trucker in mind. We offer a quality product at a quality price. If you have any questions, please email us without hesitation. We will reply to you as quickly as we can.